Jackpot passing under Hornby Light on South Head on her way out of the Harbour. We first met Maree and Adrian at Greenwich Flying Squadron not long after they took delivery of a beautiful and new to them J/122 “Jackpot”. I was fortunate enough to be able to crew on that yacht in a number of races and must say I really enjoyed the experience. As Adrian became more familiar with this boat he moved up the racing scale competing in a number of off shore and ocean races. 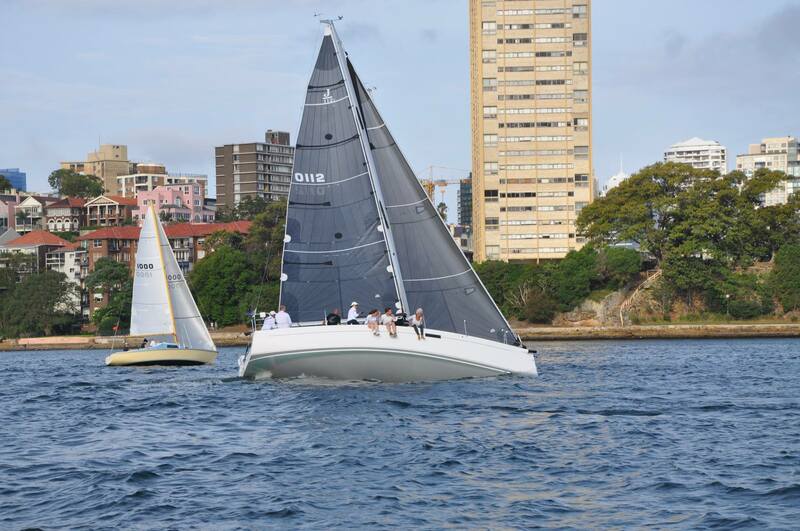 In January 2016 Jackpot competed in the Pittwater to Coffs Harbour race finishing 1st in ORCi overall, 1st in IRC Division 2 and 2nd IRC overall. 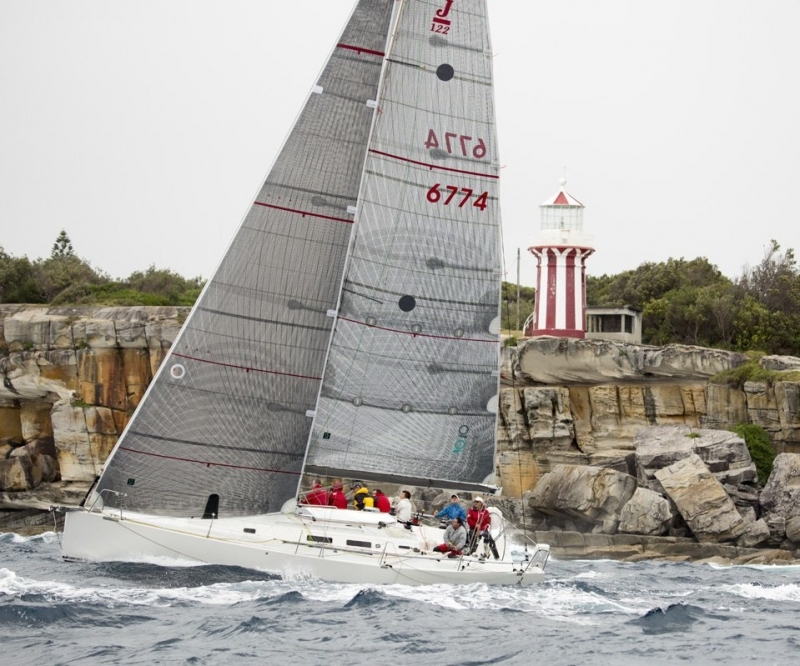 In December 2016 Jackpot competed in the Sydney Hobart race. 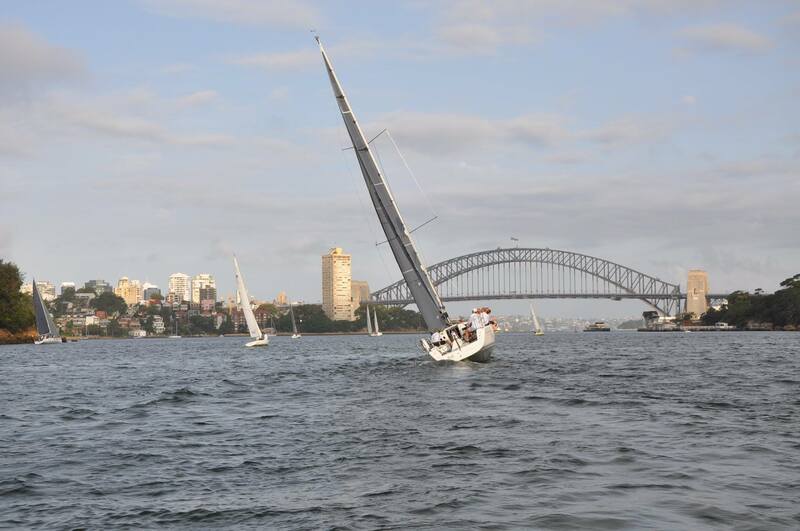 It was with pleasure that I was able to crew on her for the return trip to Sydney, thank you Adrian. I hasten to ad that Maree and Adrian never forgot their sailing roots and continued to regularly race with GFS, a Club that they both continue to be involved in and contribute to. Unfortunately Adrian had a major health set back in early 2017, which meant that Jackpot would be languishing on her mooring without use, Maree and Adrian took the difficult, but logical decision to sell her, fortuitously to another GFS Club member where she still races. 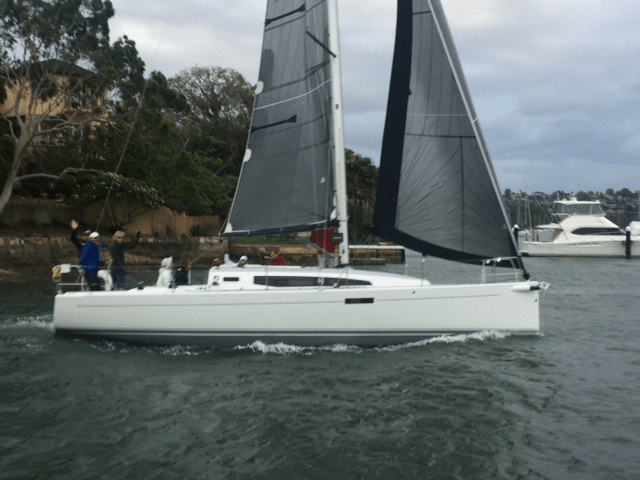 It is hard to keep sailors down for long and with Adrian’s return to health he and Maree took the decision to purchase a new J/112e and aren’t I jealous, along with a number of other people no doubt. 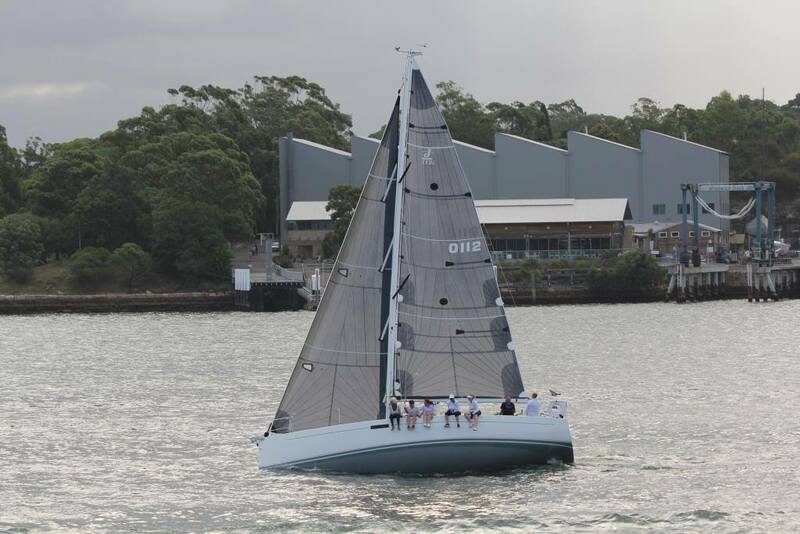 “Joli”, (pictured left on one of her “get to know us sails”) is French for “Pretty”, a name that ticks of a few requirements, it meets a loose custom of J/boats being named with a “J” word and describes the J/112e to perfection, in January 2018 Joli was delivered to Maree and Adrian by Yachtspot, the Australian J/boat agents. In her maiden race at GFS she finished first on scratch, keeping up the tradition of these beautiful J/boats, the other recently delivered J/112e’s have all won their maiden race. It is great to have Maree and Adrian back on the water. All three of them (Including Joli) looking a picture of health. Although the look on Adrian’s face is somewhat reminiscent of the look of a child playing in the sand pit with his new toy. Joli has not only become a fixture in GFS twilight racing she is also, if the amount of time that her mooring is empty, giving her owners a lot of pleasure. Here are some more recent photos.